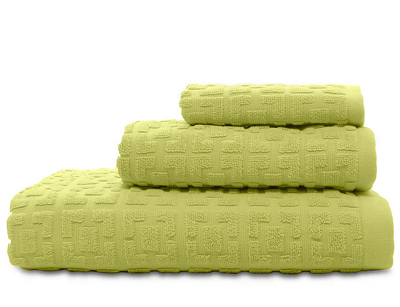 From Trina Turk, these light avocado Palm Spring Block Bath Towels feature a geometric pattern and ultra-soft and absorbent fabric. $10-$25. Buy here.